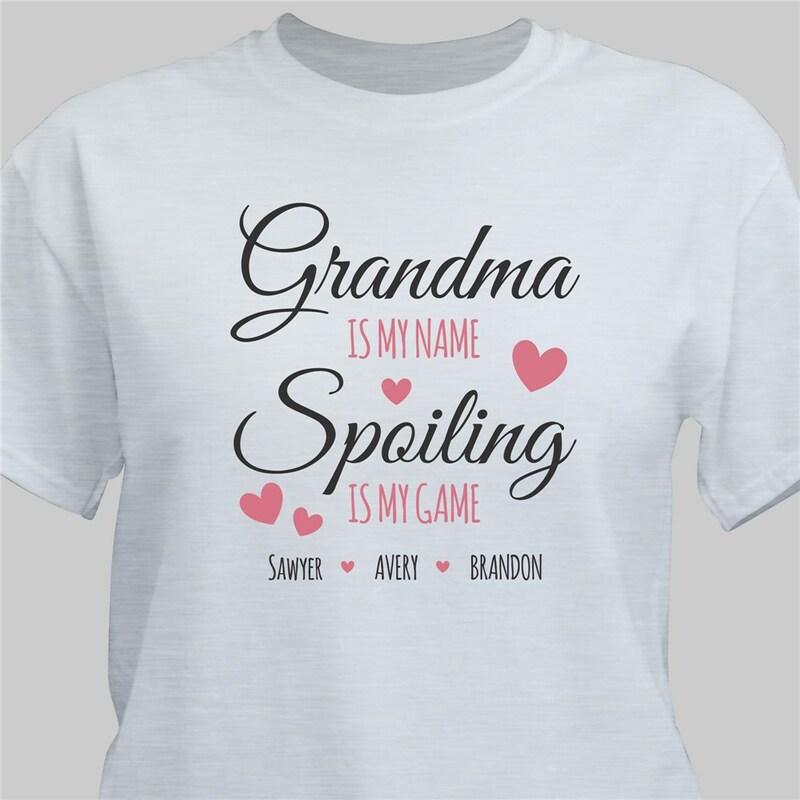 Grandma's love spoiling their grandchildren! 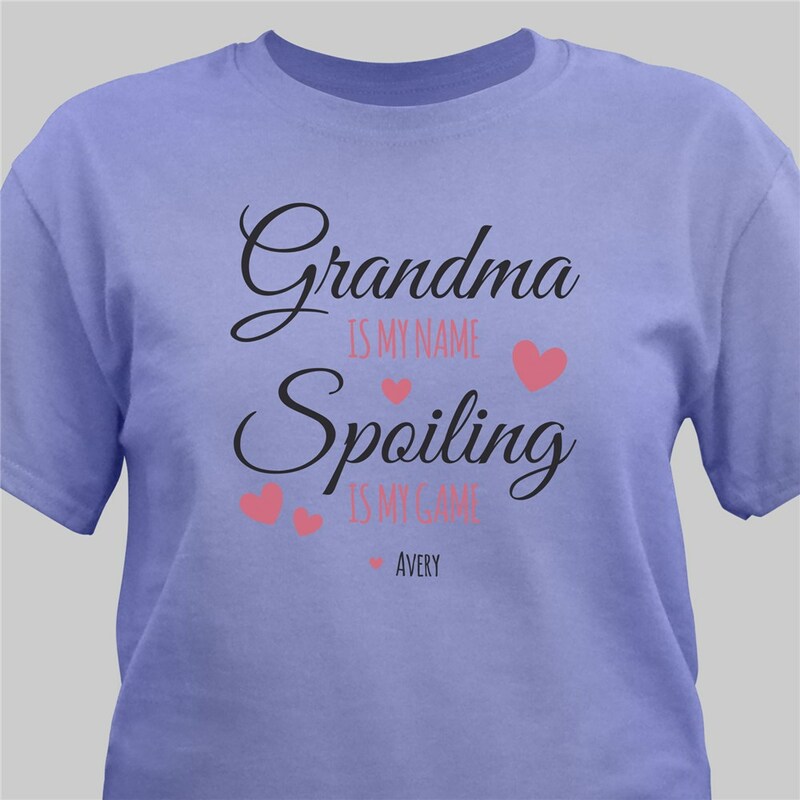 Now spoil her with this great t-shirt personalized just for her. 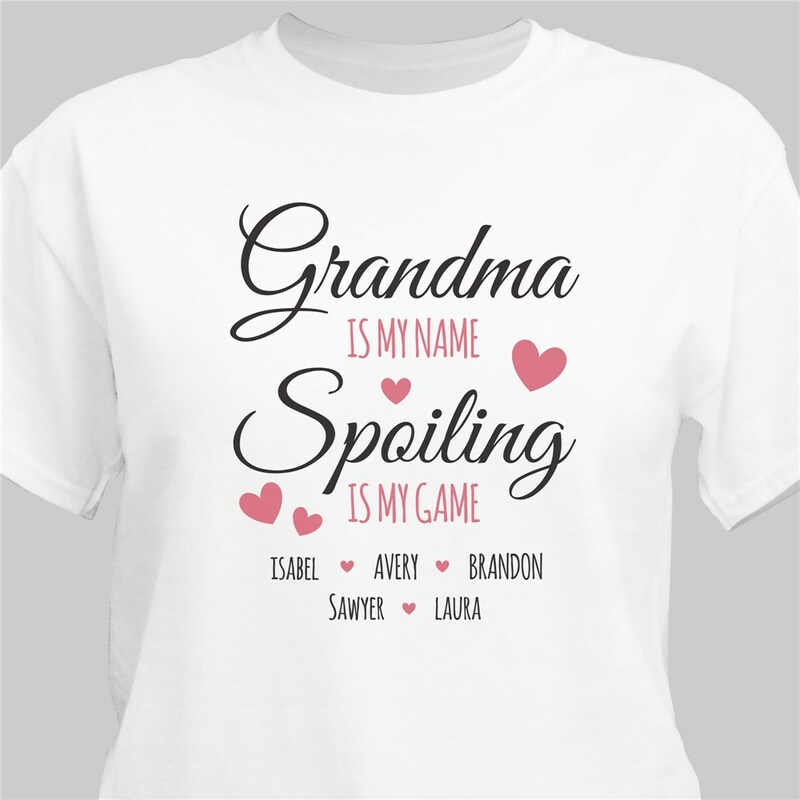 Grandma TShirts are custom personalized with any title and up to 15 names. This was a gift she Loved it! Awesome! The material is soft, the color perfect, and the writing exactly what I wanted. I love the shirt! The fabric is great and the design was just what I wanted! 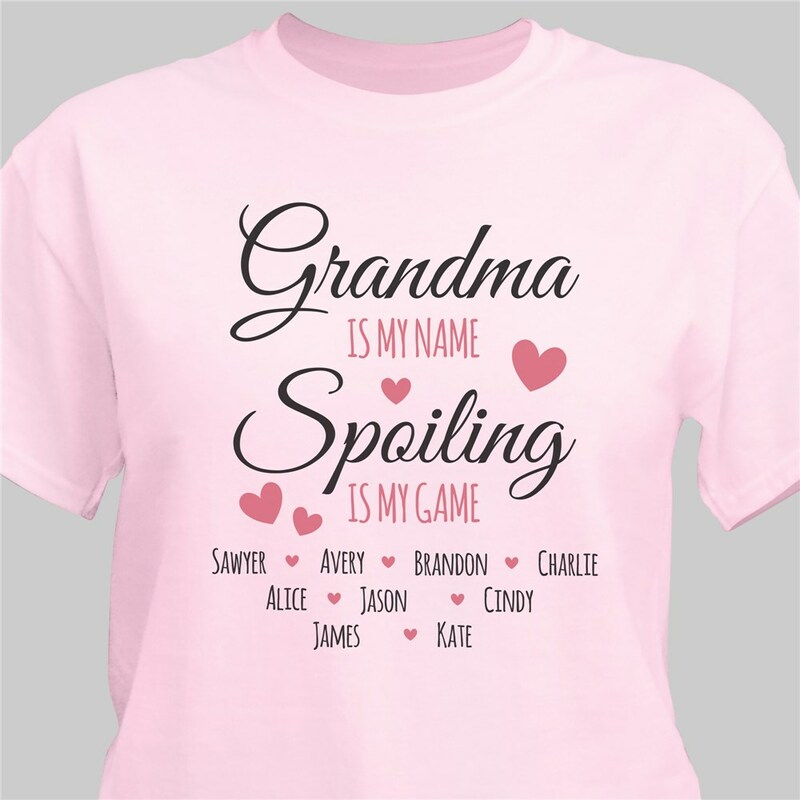 Additional Details Shop more fun grandma shirts that help her show off all of her beautiful grandkids, or Personalized Baby Gifts for those little ones!